I know I can't be the only one still looking for fun Halloween ideas, am I right? 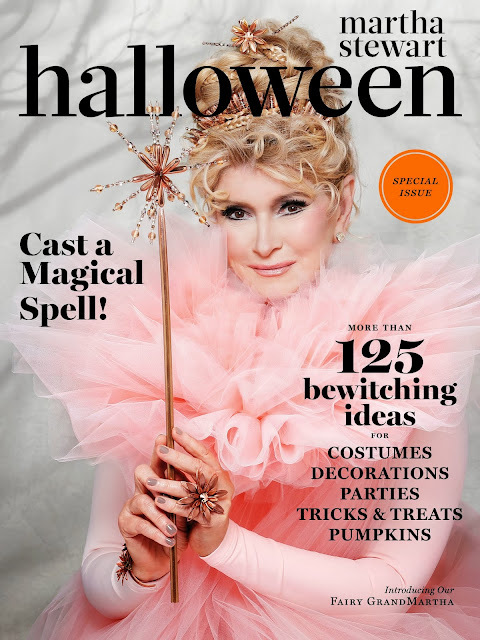 One of my favorite Halloween resources for years has been Martha Stewart's Halloween issue. I am amazed that her staff is still coming up with such gorgeous and creative ideas. 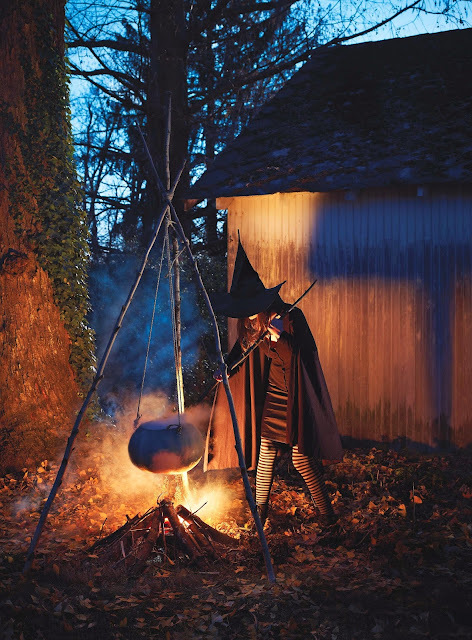 I am especially loving this pumpkin cauldron from the 2013 Halloween issue, and Martha is letting us share the fun tutorial with you! 1. Cut top off pumpkin, using saw. Hollow out pumpkin with ﬂeshing tool. Drill 3 equidistant holes about 2 inches below opening. Cut 3 lengths of rope to hang pumpkin. Tie 1 end of each rope to an eyebolt. 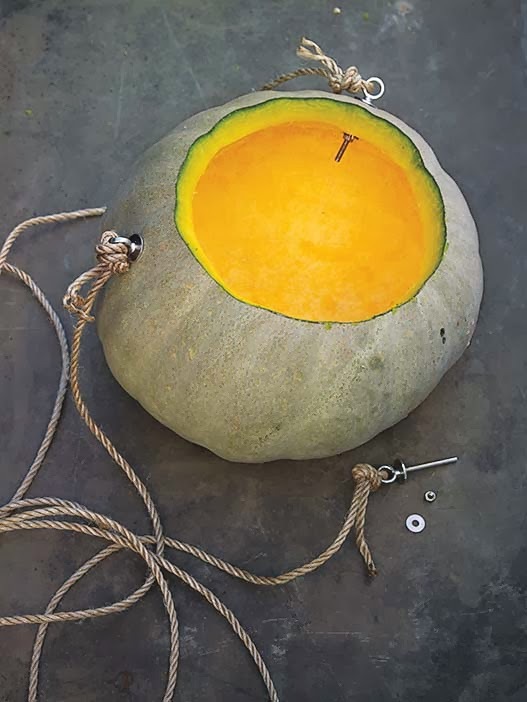 Push eyebolts through holes in pumpkin; secure with washers and nuts. Prop branches in a tepee shape, and secure at top with wire; thread wire inside top to hang S hook. Hide visible wire with rope. Knot pumpkin’s rope ends together, and hang from S hook. This is just one idea from the Halloween issue from Martha Stewart--check it out for more ghoulish inspiration! Loooove this!! Shared it with friend for outdoor decor for her upcoming Halloween Party!